Patients in need of professional dental care in Drexel Hill, Aldan, and Lansdowne, PA turn to Family Dental Care Center again and again for one simple reason: we consistently provide high-quality services in a comfortable, yet professional setting. For results that offer improved physical aesthetics and oral health, you can rely on our team. Here, our staff exudes a high level of care for each and every patient that seeks our services, providing the knowledge and experience to treat any problem we encounter. Contact us today to schedule an appointment for general dental care such as teeth cleaning services or a wide array of more involved procedures such a wisdom tooth extraction. Additionally, our team provides root canal procedures that help to relieve dental pain and tooth sensitivity without requiring a complete removal of the tooth. A root canal treatment is utilized to relieve those that experience dental pain from an interior infection, saving the teeth in the process. During the procedure a dentist that specializes in root canal treatment will remove the damaged area of the tooth, which is otherwise known as the pulp. The dentist will then clean, disinfect, and shape the root canal before placing a filling in the space created by removing the pulp. A root canal treatment is used to prevent further damage to the teeth before they need to be surgically removed. 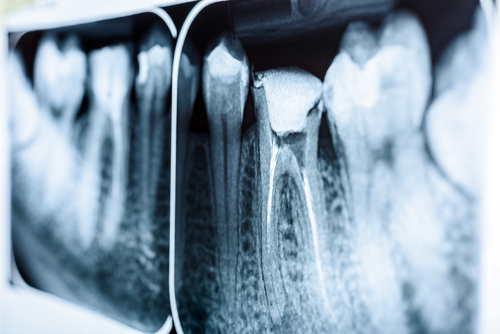 The root canal process is a series of steps that occur over a few visits to our office. This procedure is typically painless and completely effective, so you can rest assured that you’ll be back to your usual self in no time. Who Needs A Root Canal Treatment? If you’re experiencing discomfort which may be the result of an infection, consult with a professional today to determine if a root canal treatment is the best possible course of action for you. We will walk you through any options you may have in addition to the next steps that need to be taken to provide a solution. If you believe you need root canal treatment, don’t hesitate to contact our team. Our dental staff is extremely knowledgeable and experienced in providing care for those requiring a root canal. If we determine that root canal treatment is not the best possible solution for you, we can work with you to find the one that is. At Family Dental Care Center, you’ll see and experience the difference the moment you step inside of our facility. With the latest technology available, you’ll be sure to receive the highest quality treatment to have you smiling again in no time. Those located in Drexel Hill, Lansdowne, or Aldan, PA can schedule an appointment to discuss this procedure with a root canal dentist. For other services such as emergency dental care, be sure to reach out to us and we will be glad to assist you.